Feast your eyes on these showstoppers. Most women love to accessorize with earrings. You don't need to attend a special occasion to wear a pair, and you can choose from a huge array of trendy designs and styles. There are the studs, the hoops, the chandeliers, and our favorite, the drop earrings. Last week at the 89th Academy Awards, many actresses wore show-stopping pairs of drop earrings. They were all undoubtedly beautiful, but we managed to pick out three which we think are the best pairs that night. Without further ado, here are Ruth Negga, Charlize Theron, and Emma Stone and their bewitching drop earrings. Nominated for Best Actress for ‘Loving,’ Ruth Negga wowed all of us with her ruby jewels, with her stylist, Karla Welch to thank for. She looked so regal with show-stopping drop earrings that featured Gemfields Mozambican rubies and diamonds by jewelry designer Irene Neuwirth. 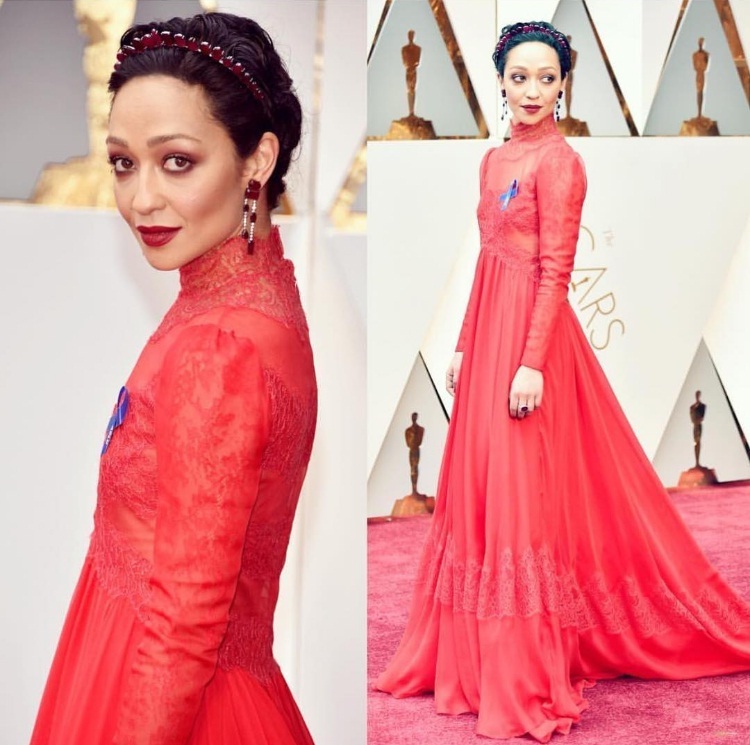 What we love about this pair is that it complemented her scarlet body-hugging Valentino gown. These are earrings I would proudly put in an earring display in my bedroom. South African actress, Charlize Theron was an Oscar presenter this year. She wore such eye-catching drop earrings that immediately become a favorite. It was a pair by Chopard featuring stunning diamonds in white gold settings from the ‘Garden of Kalahari Collection.’ She matched it with equally stunning diamond rings from the ‘High Jewelry Collection.’ The pieces complemented her shimmering Dior Couture gown. I would love to get my hands on these jewels! Winner of the Best Actress Award for this year’s Oscars, Emma Stone accessorized with a gorgeous pair of drop earrings -- ‘Whispers of the Forest.’ The pair is by Tiffany and Co from the 2017 Blue Book Collection. She nailed the vintage glam look with these earrings, gorgeous makeup, and golden Givenchy gown by Riccardo Tisci. You just gotta love this amazingly talented actress! Got pairs and pairs of earrings? Get yourself an earring display along with a necklace display for your matching necklaces!